At the top of New London Rd. 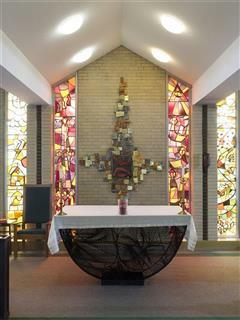 sits a beautiful campus and a school that profoundly shapes the way students Think, Achieve, Serve and Lead. 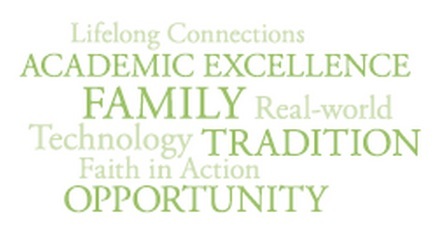 We invite you to learn more about Stephen T. Badin High School. 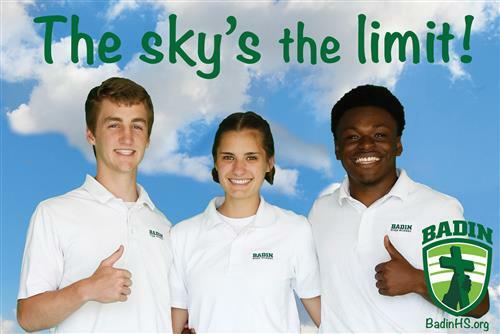 From AP & dual credit online offerings, to a vibrant technology curriculum, Badin students have access to a world-class education. Welcome! We're glad you're interested in Badin High School. Please see our admissions process on the right. Have questions or want to schedule a Shadow Day? 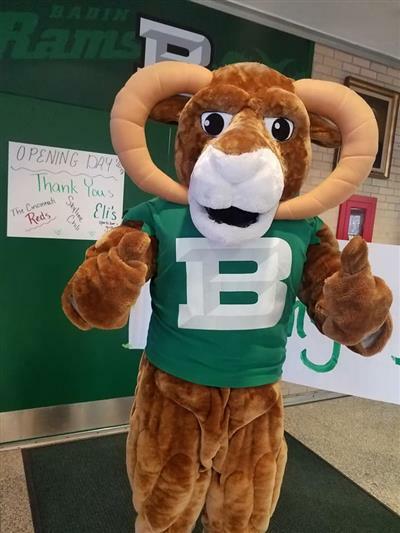 Please contact our Admissions Office - info@BadinHS.org or 513-863-3993 x120. Inspiring young men and women to live their faith and lead the future. Sydney Long feels like she has come full circle. And not just any lead – Long is set to play the iconic Peanuts character Charlie Brown in the classic “You’re a Good Man, Charlie Brown” on the Badin stage Nov. 15-18. Long’s stage presence is genuine and infectious as she pulls the audience right up front with her. As a sophomore, Long was so memorable in the title role of the timeless musical “Annie” that a picture of her in a red wig with the dog is still a recruitment poster at Badin. “That was incredible,” she recalled. “That was the first time I ever felt recognized on my musical path. It was really wild to play this outgoing, fun red-headed girl who totally embodies the person I want to be, someone with such positive energy. Long took her initial path to the stage in the musical “Grease” with Encore Youth Theater the summer before her 7th grade year in the Lakota school district. At the time, Badin High was nowhere on her radar screen. “I had never even heard of Badin and I had no idea where it was,” she said … a thought that makes her mother smile, since Becky Long taught and coached at Badin and Sydney actually took her first steps in Badin’s Mulcahey Gym before her mother stepped down to be a stay-at-home mom. 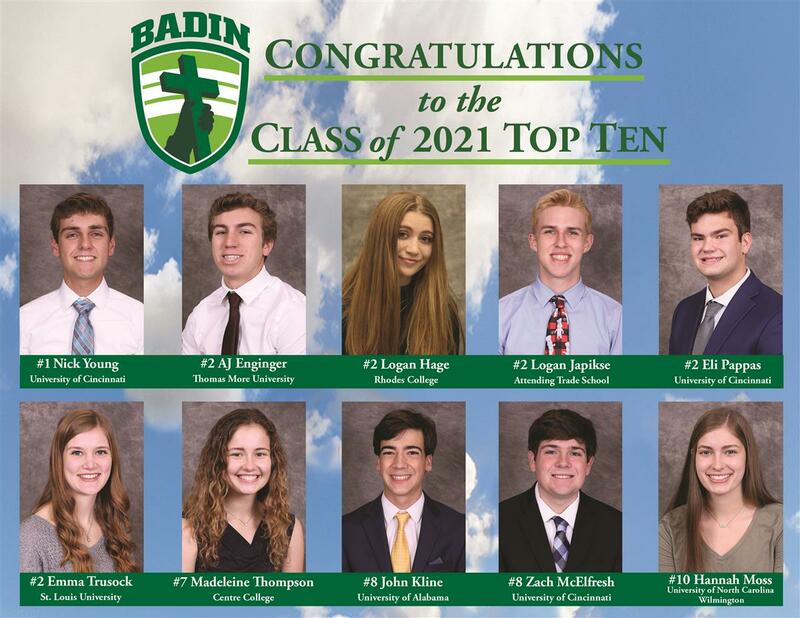 In the spring of 2014, her five children rapidly growing up, Becky Long returned to Badin … first as a long-term sub, then as the freshman religion teacher, taking her place in the department she had left more than a dozen years before. 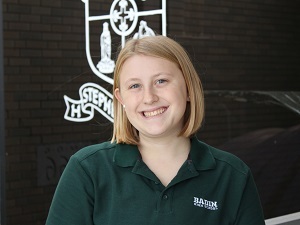 “Suddenly, Badin became an option to me,” Sydney said. “I had to make a choice, and it was very daunting. I knew everyone at Lakota, and I knew no one at Badin. Now, Sydney Long must make another choice as she prepares to graduate in the spring of 2019. She’s looking at Marshall University in Huntington, W.Va., or perhaps Middle Tennessee State University in Murfreesboro, or maybe some others. The curtain will rise on “You’re a Good Man, Charlie Brown” in Badin’s Little Theatre at 7:30 p.m., Thursday through Saturday, Nov. 15-17, then for a 2:30 p.m. matinee on Sunday, Nov. 18. Tickets are $10 for adults and $5 for students and children and available through the front office at Badin. BHS students are admitted free through the Student Activity Fee.